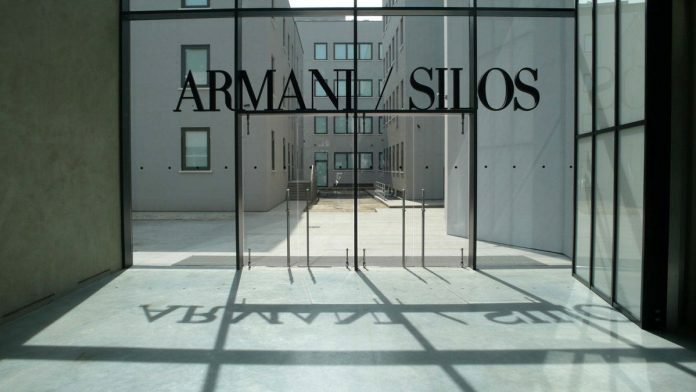 Located in via Bergognone 40, the new Milanese exhibition space Armani/Silos is a place that illustrates the professional experience of Giorgio Armani. Following the renovation, the building, constructed in 1950, measures around 4,500 square metres on four levels. The designer conceived and oversaw the renovation project himself. The search for simplicity, a preference for regular geometric shapes and a desire for uniformity have produced a sober yet monumental building based on the rule of order and rigour. 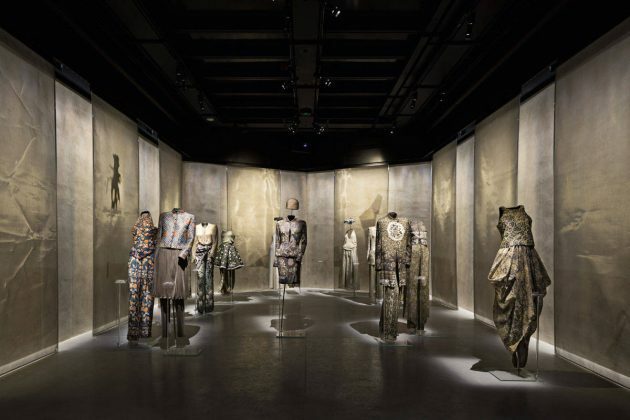 The renovation project therefore preserves the building’s unusual original shape, recalling a beehive, a metaphor for industriousness, thus reinforcing the identification of the new exhibition space with Giorgio Armani’s aesthetic philosophy of striving for simplicity and eliminating unnecessary ornamentation and everything that is superfluous. 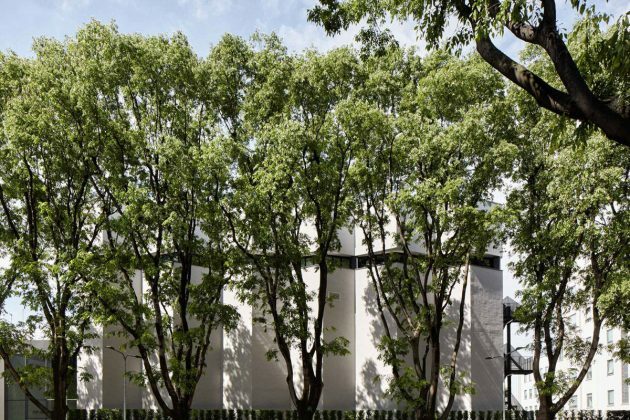 The only decorative element distinguishing the project is a ribbon of windows all around the building’s perimeter, like a crown, defining its compact mass. Inside, the building is organised on the basis of a basilica layout: an open space four floors high with two levels of naves overlooking it on either side. 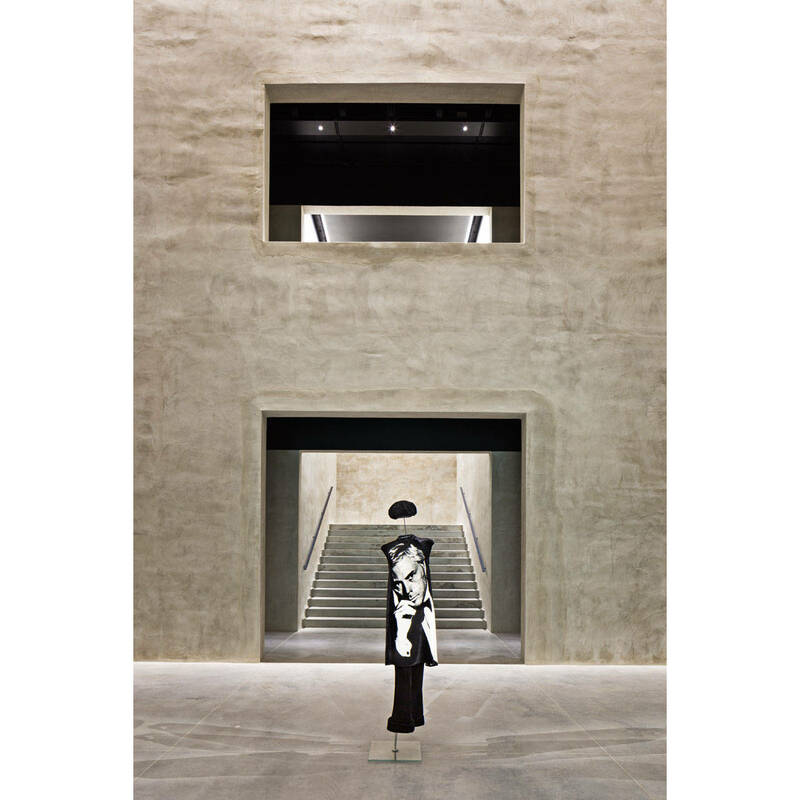 The ceilings are painted black, in contrast to the grey cement floors, and reveal not only the iron structure of the new floor slabs but also all the electrical installations for heating, cooling and lighting the building. 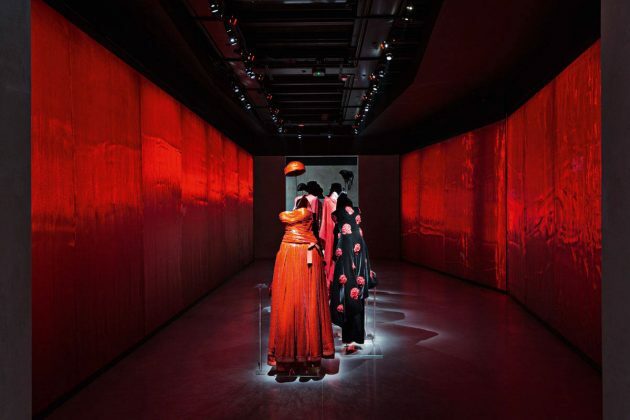 The opening exhibition, covering all four floors of the building, offers an overview of 40 years of the designer’s career, including 600 outfits and 200 accessories from Giorgio Armani’s collections from 1980 to the present. 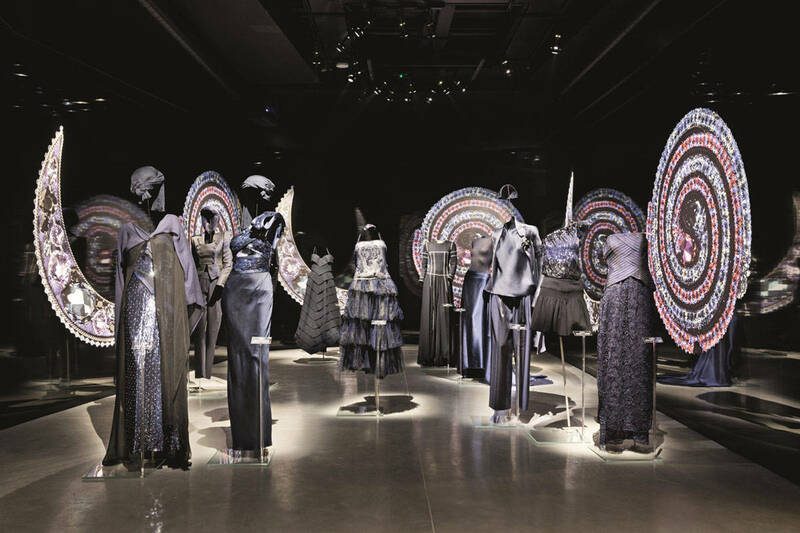 The selection is divided up on the basis of a number of themes that have inspired and continue to inspire the designer’s creative work. The space includes not only the exhibition areas but also a gift shop and an open-plan indoor coffee shop; it also houses a digital archive of sketches, technical drawings and material on the prêt-à-porter Giorgio Armani and couture Giorgio Armani Privé collections intended for researchers and fans who want to find out more about Giorgio Armani’s work and style.